Kate Carroll de Gutes reads from “The Authenticity Experiment” during a promotional event at Northeast Portland’s Fremont Theater. We are curators. Each and every one of us who writes a blog, shares Instagram photos or posts to our Facebook wall is choosing what and when to publish. Nothing appears there by chance. We control the content — every word, every image, every YouTube video, every comment that we allow on our social media sites. And the result? More often than not, it’s an endless stream of feel-good moments and milestones. We celebrate births and birthdays, weddings, graduations and milestones. We share photos of where we’ve been, whom we were with, where we ate and what we ate. Less often, we interrupt the bliss to write about a death of a family member or beloved pet, about the loss of a job or other personal setback. Soon we’re back at it, posting images of sunsets and mountains, cocktails and casseroles. So what if the curated version of our lives represents a selective scraping and molding of those experiences? So what if that version offers a distorted representation of our daily lives, untethered to reality? In a new and wise book, Portland writer Kate Carroll de Gutes cuts through the facade and delivers a bracing alternative to the happy-face fantasy. Could she be more honest on social media following the deaths of her mother, her best friend and her editor-mentor, all occurring within a few months of each other? Could she share the duality of her life — both the light and the dark — in celebrating the praise lavished on her first book (“Objects In Mirror Are Closer Than They Appears’) as well as mourning the loss of loved ones? Yes, she could be and, yes, she was. Each page crackles with the authenticity of someone who has laid aside pretense and ego in favor of honesty and heartache. The essays undulate from sad to humorous, self-deprecating to self-reflective. “The essays you’ll find in this book are raw and filtered through my lens as I think on the page and try to understand the journey I’m on and how my own privilege and power plays a role in what I think about death, class, self-worth, perfectionism, and other topics we usually keep to ourselves. I loved the idea of the book and admired its execution. It felt especially real having just met the author just three weeks earlier. I didn’t know of Kate or her work until a friend invited Lori and me to a book launch event in Northeast Portland. Read the blog post New space, new author here. Kate was charming and witty, and stuck around to autograph the many books she sold that night, including one to Lori. They connected over the fact that Kate had spent several years living in the North Beach neighborhood of Lori’s hometown, San Francisco. Kate Carroll de Gutes is a Portland writer whose debut memoir, “Objects Closer in Mirror Are Closer Than They Appear,” won the 2016 Oregon Book Award for Creative Nonfiction and a 2016 Lambda Literary Award in Memoir. I picked up the book on a quiet weekend at the Oregon Coast in early October, but didn’t finish it until sometime in November. I’ve mulled about it since then, wondering when to write about it and what to say. I come into the kitchen. Grocery bags. Car keys. The same loose doorknob. He’s waiting at the table. Home early. He hasn’t poured a drink. Boots still on. “I have something to tell you.” I go soundblind. The mouth is doing the things it does when making words. He folds, refolds his hands. The wedding ring he doesn’t wear scrapes across the table: I am deaf but only to him. In California, a butcher saws through a meat joint. In Berlin, firecrackers in the back alley. The hum of an intersection in Mexico City. He stands. Footfalls in reverb, a child finding an old piano in an empty barn. He wants to hold me against him. Crackandbuzz crackandbuzz inside his ribcage. What’s that sound? He insists, holding my shoulders, his palms comfort circling the way I can’t stand. I pull away to read his lips. I’m sure he’s saying it is only the wind through the trees. Behind me, ice cream melts in the brown paper bag. The cold sweat railroads down the carton. I hear it metalscreaming. Like a baby. Taken from her mother’s milk. Too soon. Since childhood, Jennifer Brennock has gotten into trouble for not keeping her mouth shut. She’s written poetry, prose, and play. She’s worked for arts organizations, created arts organizations, given readings, emceed slam, made zines, busked, facilitated, studied, and taught in all literary arts she could wiggle her way into. Jennifer is uncomfortable talking about herself in third person, but she’s getting used to it. Editor’s note: I met Jennifer during an Orcas Island vacation several years ago when I attended a writing workshop she was leading at the public library. We met for coffee a couple days later and a friendship bloomed between the two of us native Californians. I find Jennifer’s writing nothing short of amazing. Occasionally, a nonfiction book comes along that more than opens your eyes to a social issue. It seeps into your pores and burrows into your consciousness. It introduces you to real people and riveting scenes you will never forget. “Evicted,” by Matthew Desmond, is one of those books. If you’ve read “Nickel and Dimed,” by Barbara Ehrenreich, you learned about what it’s like to try to survive on a minimum-wage job — not as a teenager taking a first job, but as a full-blown adult trying to make ends meet in a service or retail job. At the bottom of the pay scale, you’re rendered invisible and expendable, disrespected by customers and subject to the whims of your employer. “Evicted” is similar in tone, insight and method. It too delves deep into an aspect of American poverty. But instead of income, it focuses on housing. In particular, the short-term disruption and longer-term devastation that result from losing one’s home. And by home, I mean a squalid apartment or a rundown mobile home in a trailer park. “Evicted” is the product of years of ethnographic work by Desmond, a Harvard professor who began the project when he was a Ph.D. student at the University of Wisconsin at Madison. From May 2008 to December 2009, Desmond lived in nearby Milwaukee as he reported first-hand on the struggles of eight families living on the edge, as well as the perspectives of two landlords whose compassion is nearly always eclipsed by their capitalist instincts. In addition to that immersive experience, he brought a social scientist’s rigor to his project, designing surveys, gathering eviction court records, and collecting big data on housing, residential mobility and urban poverty that he could analyze. The book was honored with the 2017 Pulitzer Prize for General Nonfiction. Desmond’s childhood home was repossessed when his parents fell behind on payments. As a graduate student, he said he wanted to understand poverty in America in a way that went beyond “structural forces” seemingly beyond a person’s control or “individual deficiencies” such as starting a family out of wedlock or low levels of education. The result is a compelling book that takes the reader into the ghetto of Milwaukee’s north-side neighborhoods, from sweltering summers to bone-chilling winters. The eight families are bound by desperate circumstances — either unemployed, underemployed or getting by on public assistance — in a desperate scramble to keep up with the rent in a market that totally favors the landlord. Their desperation stems from having to devote a huge portion of their monthly income to making the rent — sometimes 70 or 80 percent instead of the rule-of-thumb 30 percent. Often, these renters have to choose between keeping the lights on or paying the rent. Some of the families are black, some white; some with children, some without. Most of the households are headed by single women. One landlord, a former schoolteacher, is black. The other, who runs one of the city’s worst trailer parks, is white. Nearly half of these forced moves are “informal evictions.” And when you count all forms of displacement — formal and informal evictions, landlord foreclosures and building condemnations — you realize more than 1 in 8 Milwaukee renters experienced a forced move, a rate similar to numbers in Kansas City, Cleveland, Chicago and other cities, Desmond says. It’s wrenching enough to be evicted, to have your meager possessions put out on the sidewalk or hauled off to a storage shed where you have to pay additional fees and interest to retrieve them. What’s worse is the effect on everything else — your ruined credit, your self-esteem, your kids’ education, and having to settle for increasingly less desirable places in more dangerous neighborhoods. Matthew Desmond’s book explores poverty and profit in a typical American city. A book of this type can’t be written without addressing these things: race, history and solutions. Desmond touches on all three. Race and history are intertwined. It’s no accident that the poorest people in Milwaukee are black, hemmed into the worst neighborhoods as a result of decades of discriminatory practices and laws written to favor landlords. Nor is it a surprise that those most susceptible to eviction are women. Establishing publicly funded legal services for poor families in housing court would be a start toward lessening homelessness and evictions and giving renters a fair shake, he says. More meaningful would be a significant expansion of our housing voucher programs so tenants could live anywhere they wanted. Universal voucher programs operate elsewhere in the developed world and are more cost-effective than new construction, Desmond says. Whatever solution is proposed, he asserts, it must be rooted in a declaration that there is a basic right to housing in America. A postscript: I received this book as a birthday gift at the end of last year from my daughter Simone and daughter-in-law Kyndall, but I wasn’t able to get to it until last month. It was an absorbing read, but one that filled me with guilt. Here I was reading about the struggles of the working poor while in the comfort of our vacation home in Washington state. Obviously, I feel fortunate to have a partner in life who has teamed up with me to make that second home possible. But that doesn’t diminish the realization that I can and should do more to help those less fortunate. I feel a donation to Habitat for Humanity coming on. Hope Jahren in her research lab. Science has never been my forte. High school chemistry and biology were challenging enough, so I never went near physics. In college, I took a single general science course and was thankful I wasn’t required to do more. So why would I put “Lab Girl” on my list of hoped-for Christmas or birthday gifts? Two reasons: 1) I spotted the title late last year on a New York Times list of notable books and the thumbnail review sounded interesting; 2) I thought it might give me better understanding of the kind of work our youngest son wants to do. I recently finished the book and I’m happy to say it’s a gem. It’s beautifully written and it’s illuminated the path that lies ahead for Jordan, who’s graduating next month with a bachelors degree in biology and hopes to become a research scientist. Jahren is one of those people who is multiply talented, almost astonishingly so. Her academic credentials? She’s received three Fulbright Awards in geobiology, has a Ph.D in soil science from UC Berkeley, has taught at Johns Hopkins and Georgia Tech, and has been named by Time magazine as one of the world’s “100 Most Influential People.” Still in her 40s, she is a tenured professor at the University of Hawaii at Manoa and currently is a fellow at the University of Oslo, where she studies fossil forests. She’s fluent in Norwegian, by the way. She writes with authority born of expertise, with wisdom born of experience, and with self-deprecating humor born of perspective. Binding it all together are the passion that she brings to her work, and the determination and discipline that have fueled her success in a male-dominated profession. As a female scientist, she has been the only woman in a college class, the only woman at a professional conference, one of few women among a university’s science faculty, and certainly one of few among her colleagues who’s had to take a career break to give birth. “My desire to become a scientist was founded upon a deep instinct and nothing more; I never heard of a single story about a living female scientist, never met one or even saw one on television. How did she become a scientist? Raised in a small Midwest town with three older brothers, she essentially grew up in the lab where her father taught at the local community college. As a young girl, she became acquainted with the workbenches, the equipment, and the drawers full of magnets, wire, glass, metal and other stuff that all proved useful for something. Culturally, she was born into a Scandinavian home where silence and emotional distance between family members were the norm, something that, for better or worse, contributed to her self-reliance. Jahren describes the life of the research scientist as one that is both esoteric and often lonely. People don’t know what you do or why, and they don’t have the foggiest idea of how precarious the funding is for such work. Hope Jahren, scientist and author. In one essay, Jahren explains that there is just one significant source of support for the kind of research she does — the National Science Foundation, which is funded by our federal tax dollars. In 2013, the NSF’s budget was $7.3 billion, a sum that sounds large until you learn that the Department of Agriculture’s budget is about three times that amount, the Department of Homeland Security’s budget is five times as large, and the Department of Defense’s “discretionary” budget alone is more than 60 times that sum. Jahren points out that the U.S. government spends twice as much on its space program as it does on all of its other scientists put together. Little wonder that those specializing in other fields are left scrambling to apply for three-year grants and additional university funding to pay for salaries and benefits, student help, chemicals, equipment, travel and administrative overhead charges. As informative as the book is, the writing itself is superb. The author has a website called hopejahrensurecanwrite.com, where she maintains a lively blog. She also credits her mother with instilling in her an appreciation for reading and writing. As a high school senior in the 1950s, Hope’s mom was awarded an honorable mention in a prestigious national science competition and hoped to study chemistry at the state university. But lack of money forced her to drop out and she moved back to her hometown, where she married, became a mother and homemaker, and some 20 years later took correspondence courses in English literature to get her college degree. The daughter learned her lessons well. Consider this excerpt, where Jahren recalls her days as an undergraduate at the University of Minnesota (the same place her mom, dad and brothers attended) working in the university hospital during the 3-to-11 p.m. shift as a “runner” hand-delivering IV pain medications to the nursing stations where they were needed. “That night in the hospital I walked in and out of the hospice ward ten or twenty times, and my eyes and hands moved through the necessary tasks. Well into the night and deeper into my brain, it came to me that as hospital workers, we were being paid to trail along behind Death as he escorted frail, wasted bodies over difficult miles, dragging their loved ones along with him. My job was to meet the traveling party at its designated way station and faithfully provide fresh supplies for the journey. When the weary group disappeared over the horizon, we turned back, knowing that another agonized family would be arriving soon. “Lab Girl” is a great book for the young scientist in your life, and even better if that person is a girl. It’s also a great book for yourself, especially if you’re one, like me, who would have benefited from Science for Dummies. At 282 pages, it’s a fairly fast read and one that will leave you with admiration for the work and life of a remarkable research scientist named Hope Jahren. Gratuitous photo of the breakfast I consumed while reading the last chapter. The exterior of Duza’s, a great little breakfast spot I discovered in Phoenix, Arizona. I’ve always thought I liked Detroit. But I now realize what I liked was the idea of Detroit. Credit the difference to “Detroit,” a hard-hitting book published in 2013 by Charlie LeDuff, a former New York Times reporter who returned to his hometown to write for the struggling Detroit News. “Detroit” chronicles the sorry state of the Motor City and how it got that way. The city that gave us the automobile, unions that helped secure family-wage jobs and benefits, and the enduring Motown sound today is a shell of itself. Since 1950, Detroit has lost nearly two-thirds of its population, sliding from a peak of nearly 1.9 million residents to about 700,000 today. Once the richest city in America, Detroit is known today as a center of misery — a place plagued by crime, drugs, poverty, illiteracy, dropouts and foreclosures. Layered atop it all is a political culture defined by cronyism and corruption, with city council members and a recent mayor — the disgraced Kwame Kilpatrick — having been sent off to prison. With a reporter’s nose for news and a gift for storytelling, LeDuff presents a compelling portrait of the city’s fall from grace. If you’re like me, you may think you know the Detroit story — a city wracked by race riots in 1943 and 1967, a city that’s become 90 percent black after decades of white flight, a city that nearly went bankrupt earlier this decade, and whose Big Three automakers had to beg Washington for a bailout after the auto industry collapsed during the 2008 recession. But again, if you’re like me, you don’t really know the depth of dysfunction in Detroit. In 287 compelling pages, LeDuff traces the city’s recent history and shares the backstory behind some of the most memorable stories and columns he produced at the News. Some material in the book appeared in different form in the News and Mother Jones magazine. But it is fleshed out with additional reporting that calls out the scoundrels while also singling out the unsung heroes and ordinary citizens who strive against all odds to make Detroit a better place. My affection for Detroit began more than 30 years ago. I was among a dozen U.S. journalists chosen to spend a sabbatical year at the University of Michigan in nearby Ann Arbor. During my 10 months living in one of the nation’s great college towns, I experienced Detroit as an occasional visitor and nearly always as part of a group. We toured the Detroit Institute of Arts. We dined on lamb and sipped ouzo at Greektown restaurants. I caught a Saturday afternoon baseball game at venerable Tiger Stadium and began a fan from that day on, enjoying the thrill of seeing the Tigers win the World Series in the fall of 1984, just months after I had returned home to Oregon. I would return frequently on behalf of The Oregonian, delighted to recruit several students from the U of M, Michigan State, and Wayne State to Portland, and happy to establish friendships with many more who went on to succeed in other newsrooms. On one trip, I visited Hitsville, U.S.A., the Motown-themed museum where so many R&B artists launched their careers. But it was a false picture. I knew how to get from the airport to Greektown, a safe haven with familiar hotels and restaurants, but little else. I wasn’t exposed to the urban wasteland described by LeDuff. I’ve been a LeDuff fan for years. He’s a drinking, smoking, cussing old-school reporter with blue-collar roots who started his newspaper career at the Alaska Fisherman’s Journal, landed a summer internship at the Times, and went on to become an award-winning staff writer. I discovered his book by chance. While waiting for a late-night flight to Detroit as part of my Midwest baseball road trip, I noticed the paperback on a table at an airport bookstore and snatched it up. Good call. “Detroit” is one of those books where you wind up with more than a dozen dog-eared pages. The stories are so arresting, the writing so vivid, that you can’t help but savor these scenes. — We sat in a local diner, a rundown joint with walls the color of an old man’s teeth. I watched the detective tear into a chili dog. He weighed 350 pounds and was trying that meat-only diet. Reading “Detroit” was the equivalent of taking the Ice Bucket Challenge. The naive picture I had of the city was doused with a bucketful of grim reality. I knew things were bad. I just hadn’t realized they’d been this bad for so long and gotten even worse. It’s hard to feel optimistic about Detroit’s future. Like other Midwest cities, it’s experiencing a renaissance of sorts. But “Detroit” isn’t about happy endings. It’s about looking at what went horribly wrong, at who and what destroyed the city, and what we should all know about a city that played such a critical role in the U.S and world economy. Lynn St. Georges and Keith Cantrell came over from the Oregon Coast for the annual meetup of Voices of August writers. That Golden Lab over Keith’s shoulder hints at the name of the brewpub. No red carpet. No paparazzi. Not even an after-party. But who needs glitz and glamour when you’re part of something more substantive — the annual meetup of the men and women who contribute to my Voices of August guest blog project. Each and every day in August, I publish an essay crafted by one of an assortment of friends, relatives and fellow journalists. As invigorating as the project is, with thought-provoking pieces framed by a variety of generational and geographical perspectives, the face-to-face gathering that comes afterwards is the real payoff. About 20 of us, including spouses and significant others, came together last weekend at a Portland brewpub, the same one where we first met five years ago. The Lucky Lab on Southeast Hawthorne may not have much in the way of atmosphere, but it certainly has characters — as in the long-haired old-timer at the end of the bar and his drinking buddy, another grizzled guy wearing a wolf’s head (or something like that) on his noggin. Carla Todenhagen and David Quisenberry graced one end of our shoved-together tables. And Cheryl and Tim Akimoff and their daughter Gabrielle held down the other end. Voices of August began as a simple idea, an experiment, really. Could I entice 30 people scattered across the country to carve out some time in their typically busy lives to write an original essay for public consumption? And having done that, could I encourage them to engage in some of the online conversation that ensued from VOA contributors and general readers? Some folks have been a part of VOA since the beginning. For their support in creating and sustaining critical mass, I thank them. Others have contributed a piece or two and then yielded their spots to others, so that I could bring in fresh faces. For their cooperation, I also thank them. What we have after five years is not mine — not at all. I may be the online emcee, but the content is created by everyone and the community that has emerged from this effort is one that belongs to everyone. VOA feels like a living, breathing organism. It warms my heart to see it in action as people who once only knew of each other from their guest blogs now mingle as real-time friends, sipping drinks, chatting, laughing and sharing stories. 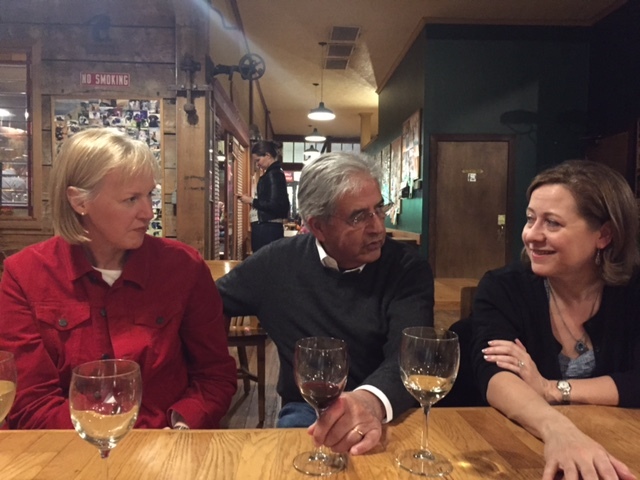 Mary Hull Caballero, Ray Caballero and Angela K. Rider get acquainted as first-time VOA attendees. There are few blogs, I would venture to say, that bring together writers from places as varied as Oregon, Washington, California, Illinois, Ohio, Pennsylvania, Texas and Washington, D.C., let alone France and Slovenia. When you consider that one writer emailed her piece from the Czech Republic and four others touched on international experiences or issues in Kenya, Tanzania, Canada and Mexico, well, that’s pretty cool. Talk about making the world a smaller place. But VOA is more than that. During the course of a month, it’s like unwrapping a new gift every day. On yet another day you understand the gift one woman received when she rode the bus on a frigid winter morning with a trio of men, in stained clothing and of meager means, who offered suggestions of where to get a free cup of coffee and a sandwich. Andrea Cano, Deborah Ehlers and Lori Rede reconnect. Bob Ehlers and John Knapp (trying to) look distinguished. No matter the topic, no matter the writer, VOA gives you the opportunity to see a slice of the world through the eyes of someone who may be quite unlike you but whose perspective enriches your own worldview. A special thanks to those who have shared what it is like to cope with the loss of a spouse or a parent, to raise children as a single mom or single dad, to endure life’s various traumas and indignities. And a nod of appreciation, as well, to those who invite us to laugh with you or at ourselves. Elizabeth Hovde of Vancouver hangs out with Eric and Sue Wilcox of Portland. As always, the evening included the presentation of gift cards to bookstores and coffee shops to those whose essays were judged as favorites by the VOA community. The nice thing about the balloting is that the criteria are whatever each voter decides. He or she alone chooses how much weight to give to the choice of topic, the quality of writing, the resonance of the piece, etc. In my humble opinion, this year’s guest blog posts were the strongest ever. So I was pleased to see so many writers recognized for their work. In alphabetical order, these were the Best of VOA 5.0. 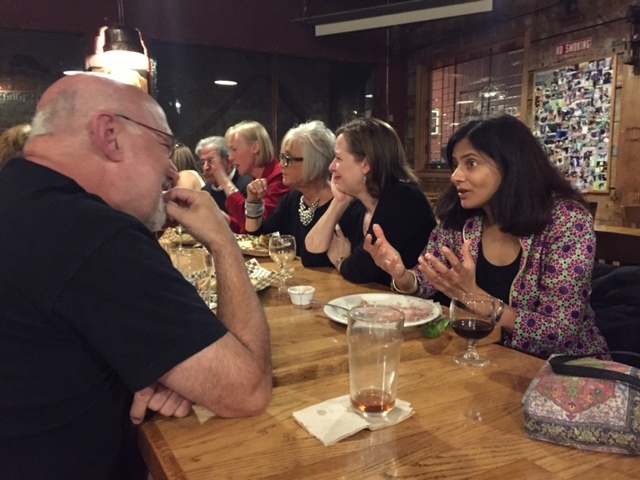 Lakshmi Jagannathan (at right) gestures during conversation with Keith Cantrell. To Lakshmi’s right: Angela, Lori, Mary and Ray. Happily, the Akimoffs have moved from Chicago back to Oregon, now that her dad, Tim, has landed a job with a state agency in Salem. In case you missed (or want to reread) any posts, you can pay a visit to the VOA 5.0 index page. Never too late to leave a comment, either. Kenyon College, about 40 minutes northwest of Columbus, Ohio, offers a weeklong residential program for writers. As a child, I was especially fond of corners. On the playground, where two chain-linked fences met at a 90-degree angle, I crouched and watched—who played with whom?—who teased whom? I catalogued their gestures and their strange and natural ways of speaking. Everything for them seemed so spontaneous, and this fascinated me. I was too shy to join them, but by observing and recording, I shared in their experiences. This is what writing became for me—a way to participate. As an adult, writing has taken a backseat to whatever else has been happening in my life: going to work, spending time with friends and family, going on vacation, dating, and getting married. I would try to find ways to squeeze it in—I blogged for the library where I worked; I wrote reflective pieces that helped shape my teaching; and for about 8 glorious months, I wrote the first draft of a novel while working at the library only twenty hours each week. Lately, I get a couple hours on Saturday mornings; I get an hour before I have to get ready for work (well, 45 minutes—I stare blankly at the screen for 15 minutes as my coffee takes effect); I get random spare moments in the evening when I’m able to push out the rest of the noise and focus. Any time I spend writing and revising and thinking solely about this stupid novel feels like a gift. 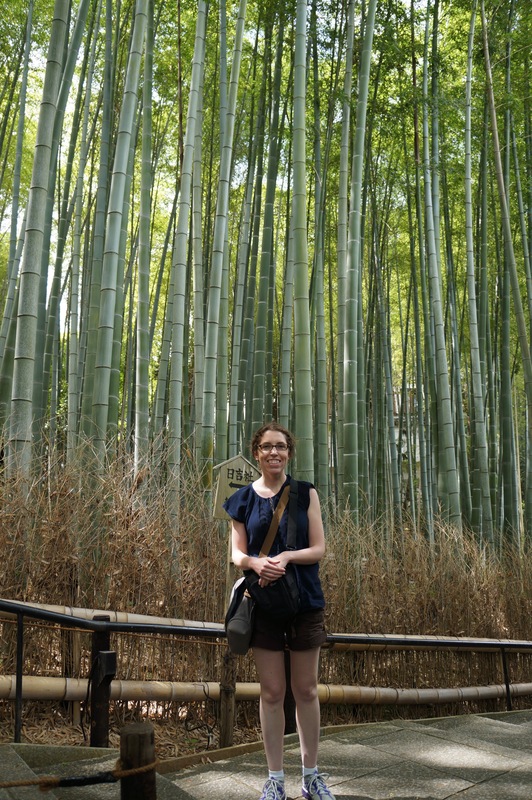 Rachel Lippolis relaxing in the Arashiyama Bamboo Grove of Kyoto, Japan. In June, I gave myself a weeklong gift when I participated in the Novel Writing Workshop at Kenyon College, and it was better than just about any other present. 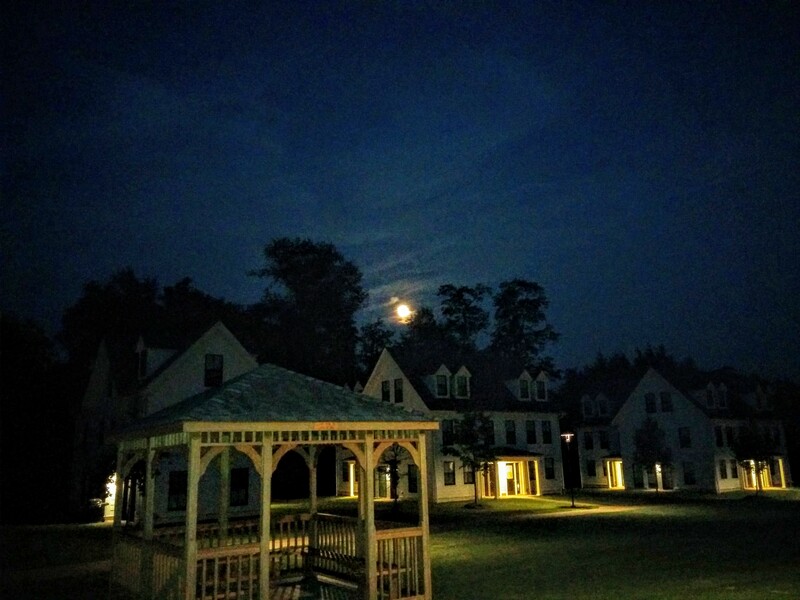 I spent seven days and six nights focused solely on fiction writing—my own, the other participants’, the instructors’, and more. We lived in dorm rooms, toting our laptops 15 minutes across campus for workshops and lessons and exercises that were so much more relevant and practical than anything I’d done before. The other students were kind, intelligent, curious, and often hilarious in an introverted writerly way. On evenings when no activities were scheduled, we still gathered together with our laptops and wine (when there wasn’t coffee, there was wine) to write and laugh and write some more. Today, I’m closer to producing a final manuscript that I’m proud of and that I want to share (someday) with others. That first draft I finished so long ago has been shredded and rearranged. Some of my favorite paragraphs gone, my darlings dead. I’ve even dropped what had been the driving force of the book. But in its place is something closer to what I had imagined all those years ago when I started. I no longer need writing to participate in life from a safe distance. 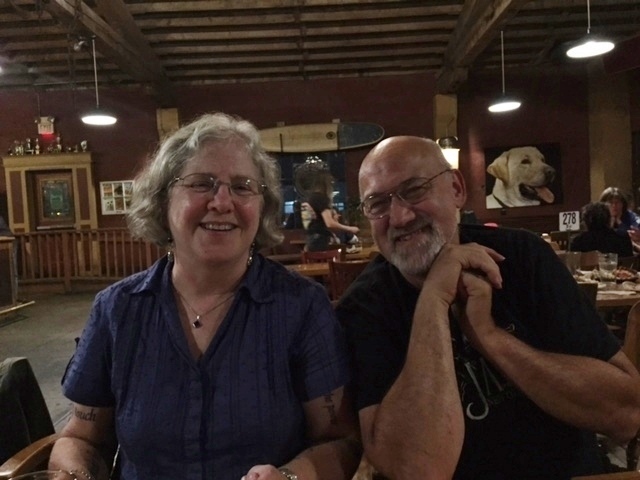 Rather, writing allows me to be part of some wonderful communities and to meet some awesome people, from the folks at Kenyon and my fellow Voices of August participants to George Rede and Tonja, my friend and writing partner. Now I am both crouched in my corner—watching, recording, and understanding—and planted on the playground—teasing, engaging, and empathizing. Rachel Lippolis and her husband recently celebrated their second year of marriage with a trip to Japan, traveling from Tokyo to Kyoto to Hiroshima. She continues to work at the library and enjoys being an aunt to two nephews. Editor’s note: About six years ago, soon after I started my blog, I stumbled upon Perfect Sand. It was an engaging compilation of posts about books, current events and writing. Through it, I came to know Rachel, the Ohio-based author. We still have yet to meet but I imagine we’d get along well, both of us having moved out from our respective corners of the playground. I think both definitions apply to the wonderful group of people who participate in the annual writing project known as Voices of August. Starting today and continuing daily through the end of the month, Rough and Rede II will feature a piece written by a guest blogger. There is no single prompt or unifying topic. 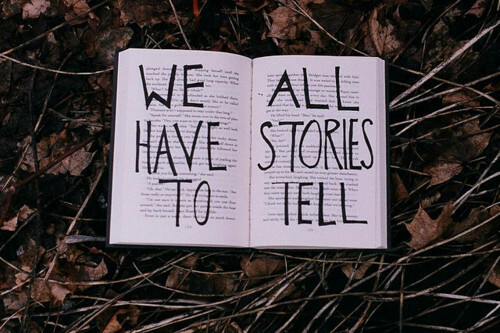 Each person chooses what to write about. And with participants ranging in age from their mid-20s to their 60s, the result is an enticing mix of generational perspectives that illuminate the past and present. Launched five years ago as a way to bring more variety to my blog, Voices of August has become a vehicle to share stories, to reveal feelings and insights, to discover common ground or points of disagreement. It’s all good. Though most of us live in Oregon, many others do not. They reside in nearby Washington and California, but also in places like Texas, Utah, Illinois, Ohio and Washington, D.C. — not to mention France and Slovenia. As organizer of this annual event, it’s my privilege to invite friends, family and former co-workers to participate. Some are professional writers. Most are not. And that’s the beauty of this exercise. Providing a forum for all people to tell their stories — honestly, safely and often with humor — brings writers (and readers too) together in a way that I rarely see online. There is genuine dialogue, there is empathy, there is support. There is real learning that takes place from considering a different cultural point of view or someone else’s formative experiences. And, not least, there is a kind of validation that occurs when you recognize some aspect of yourself in another person’s story. Ultimately, VOA is about connecting. Whether you’re new to VOA or a seasoned veteran, I hope you will be generous with your feedback. Please consider leaving your comments on the actual blog posts in addition to anything you might say on Facebook, where I will link to each piece. If you’re new to Voices of August, you can view last year’s posts. Here’s an index page of authors and topics from 2014. Now, let’s get started, shall we? 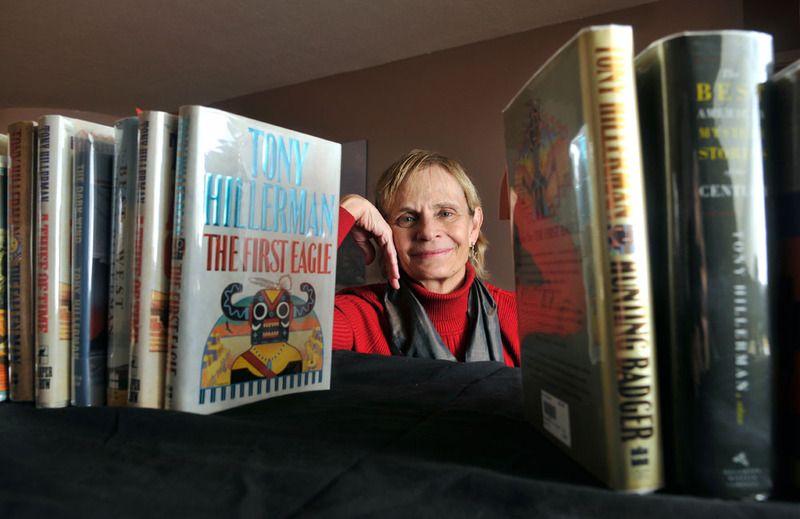 When I learned that the daughter of the late mystery writer Tony Hillerman had stepped up and written a novel featuring the same Southwest landscape and the same Navajo characters as her famous dad, I didn’t know what to think. Tony Hillerman was such an accomplished writer, virtually unparalleled in producing 18 novels that honored the Navajo culture while also conveying the barren beauty of the rugged terrain that defines much of Arizona and New Mexico. Could his daughter — or any writer, for that matter — do justice to the characters of Lt. Joe Leaphorn and Sgt. Jim Chee of the Navajo Tribal Police? Thanks to my friend, Lynn St. Georges, I took a borrowed book with me on a recent vacation and breezed through its 352 pages in no time at all. 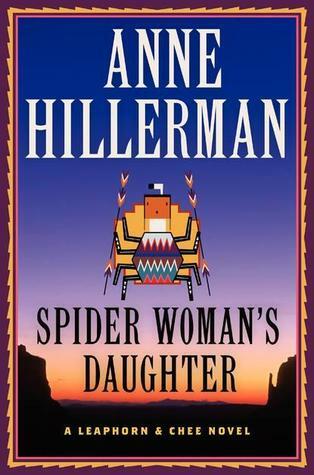 “Spider Woman’s Daughter,” the debut novel by Anne Hillerman, was a pleasant surprise. If I didn’t know any better, I’d say it was Tony’s 19th, so similar is the book in plot, structure and voice. Leaphorn and Chee are at the center of the story, of course. But they are joined by a new-to-me character, Officer Bernadette Manuelito, who is Chee’s wife. Manuelito appears in Hillerman’s 15th and 16th books (“The Wailing Wind” and “The Sinister Pig”) but this was the first time I’d encountered her. Suffice to say she blends in neatly with the other two Navajo detectives, sharing a common culture and a knack for solving crimes. In “Spider Woman’s Daughter,” Manuelito plays a critical role in figuring out who shot a law enforcement colleague, drawing on her university studies and knowledge of Native American art — plus her quick wits when she inevitably finds herself in harm’s way. Tony Hillerman died in 2008. With his passing, I figured that was the last of the Leaphorn and Chee series. Little did I know that Anne Hillerman was a Santa Fe-based writer herself, with four non-fiction books to her credit. Anne Hillerman is framed by a collection of her father’s books, in Santa Fe. Random observation: Except for the actress Bernadette Peters and my niece Bernadette Hermocillo Rackley, I’m hard pressed to think of any real-life or fictional people with that first name. Who is Daniel Torday? And why is everyone heaping praise on his debut novel? I don’t know, but I intend to find out. How could I not be intrigued after reading a 2-paragraph review in Esquire with the headline “The Best 149 Words Published This Year”? Well, after an endorsement like that, I looked up Torday, where snippets from NPR’s Terry Gross and others only serve to reinforce my interest in this book. 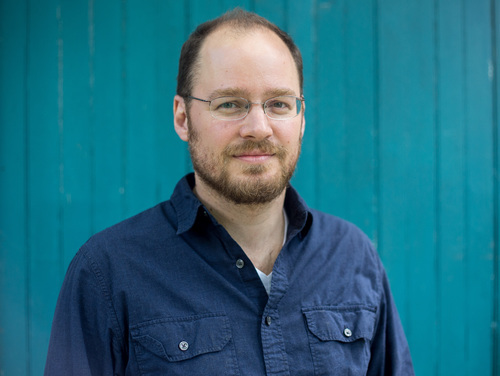 The author’s website says he is a former editor at Esquire, an editor at The Kenyon Review, and Director of Creative Writing at Bryn Mawr College.